Deluxe solid hardwood tables are built to last. 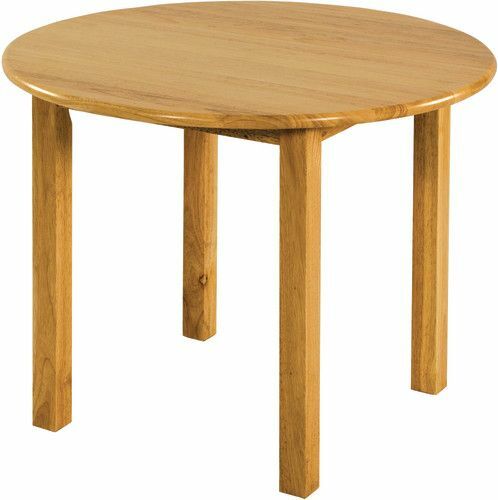 Tabletops are easy-to-clean and have a natural oak finish with rounded edges for safety. Features 3⁄4" thick hardwood top, bullnosed edge and solid hardwood legs. 1-3⁄4" square. Assembly required.